George [Hairbrush] Tjungurrayi was born near Kiwirrkurra in the Gibson Desert, Western Australia. His homeland is claypan type country in which soakage water is used by the travelling men and the small flesh ‘mungilypa’ shrub that grows profusely in this region. He came in from the desert via Mount Doreen and Yuendumu. 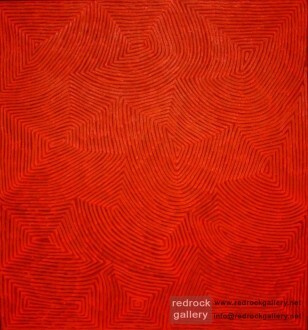 In the mid 1970’s both George and his older brother Willy, also an established Pintupi artist, commenced their painting careers as apprentices for Papunya Tula Artists. 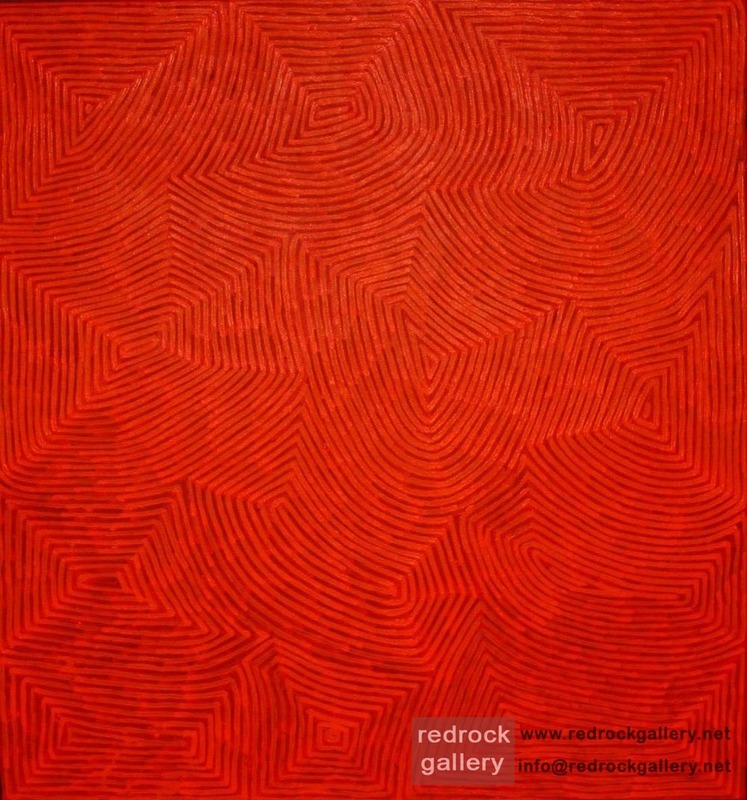 George has painted at various locations, including Mt Liebig (Yamunturrngu) and Kintore (Walungurru), and at the Yayayi and Waruwiya outstations, working alongside Joseph Jurra Tjapatjarri and Ray James Tjangala. His subject matter references his ancestral country, its Tingari Stories and the various sites surrounding the area such as Wala, Kiwirrkura, Lake Mackay, Kulkuta, Karku, Ngaluwinyamana and Kilpinya, north-west of Kintore. Originally his artwork employed the typical Western Desert image bound to subtle hues, however his art style has evolved and re-shaped to include the brighter hues which dominates his canvases.